The cruises organised by Kristina Cruises have had a strong regular following right from the start. The high­class services, originally produced by an all-Finnish staff, along with interesting destinations made the small domestic shipping company quite near and dear for many a Finnish traveller. Kristina Cruises continued to expand, and in the early 2010 as a new ship was acquired. lt underwent major renovations and was thus modelled to match the needs and preferences of Finnish cruise passengers. With the new vessel, the company focused on international waters – warmer climates in winter, ali the way to the Caribbean, and up north in summer. After a few years, a strong need to reinvent the operations arose, and consequently the company relinquis­hed its shipping company business to become a cruise tour operator in the Finnish market. Today, Kristina Cruises is a leading Finnish tour operator for holiday cruises. The family business, principally owned by siblings Mikko Partanen and Anu Markkanen, offers its customers a diverse selection of holiday cruises. A nine-person team works at the Kotka office to provide the best possible holiday experience for customers, and the same number of people travel the world together with our customers in the role of tour guides. Kristina Cruises provides high-quality and diverse cruise experiences to Finnish customers. Typical passengers on the Kristina® cruises are often active, adult customers (+50 years of age) who are interested in culture and spend an average of five days to three weeks on a cruise. The trips are always produced for a group with a minimum size of 20 persons. The charter groups comprise about 100-200 pax. Any Kristina® holiday always offers the customer a total package. The trip includes the cruise, flights both ways, and tour leader services during the trip; some cruises offer an All lnclusive package and excursions. The customers of Kristina Cruises travel as a group, and we aim to provide them with extensive services in their own lan­guage, thus ensuring the best possible holiday experience. To guarantee a successful trip, the destinations and ships are carefully selected to match the requirements of Finnish passengers. Kristina Cruises is the largest tour operator of river cruises in Finland. Most of our cruises sail along European rivers, but we aisa offer cruises in the Amazon and Mekong Rivers, as well as cruises in the rivers ofVolga and Lena. The river cruises are arranged both based on group quotas and as charters. Kristina Cruises offers a broad selection of different sea cruises in Northern waters, in the Mediterranean, the Caribbean, and Southeast Asia. We aisa have options to go to South America, the Antarctic, and Australia. The sea cruises are mainly offered based on group quotas on ships with less than 2,000 passengers. The sea cruise trips are divided into two categories: Holiday cruises and Soft Adventure cruises. About five years ago Kristina Cruises developed, in collaboration with the Finnli­nes shipping company, a new kind of entertainment-oriented, all inclusive cruise in the Baltic Sea with Germany as the final destination. We cross the seas on the Finnlines’ STAR-class ships, and a variety of entertainment and informative pro­grammes is provided along the way. ln Germany, customers get to enjoy a themed programme on land for either two or three days, including all excursions, accom­modation, and meals. The company provides a new service for the 2018 season: round trips for groups in South Africa. ln 2019 we will alsoa start producing other round trip options to various destinations. 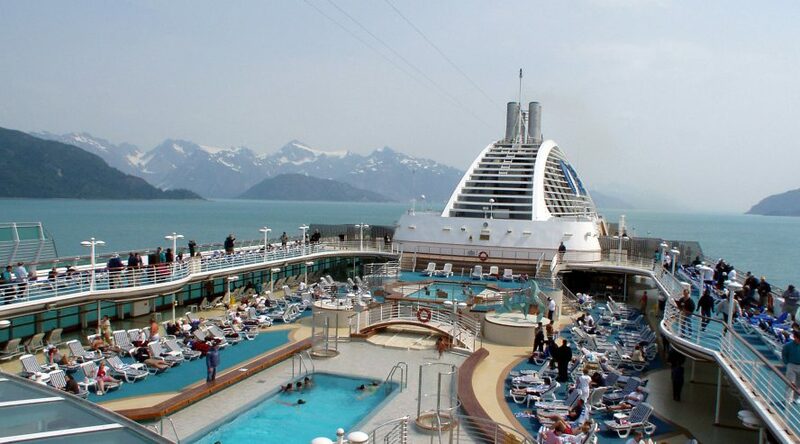 Kristina Cruises also pro­duces shore excursion and incoming services for cruise ships and groups arriving in Finland.